Adult: Brown house-mosquitoes are 5-7 mm long. The body is elongate and brown with white scales on the thorax. Head: The head is small and rounded. The proboscis is dark and equal to the fore-femur in length. Antennae are long and filiform in the females and plumose in males. Eyes are large and greater than half the size of the head. Thorax: All legs are similar. The forewing is long and covered in dark scales. Hindwings are modified into halteres (small knobs at the base of the forewing). Halteres are pale with creamy pales scales on knob. Adult females lay eggs in “rafts” on surface of water. The incubation period is approximately 3 days. Larvae are small and develop in still, polluted water (septic tanks, liquid manure and drainage systems). Larval development is 7-10 days. Larvae are worm-like with hairs and bristles around mouthparts and abdomen. The larvae breath air through siphons on the tip of the abdomen. Typically located at 45° angle to the surface of the water. Mature larvae pupate in water. Brown house-mosquito occurs below 39°N in the New World and widely distributed in the Old World. The species is becoming more common in urban Africa and Asia. Brown house-mosquito becomes active 30 minutes before sunset and will invade homes to bite at night. 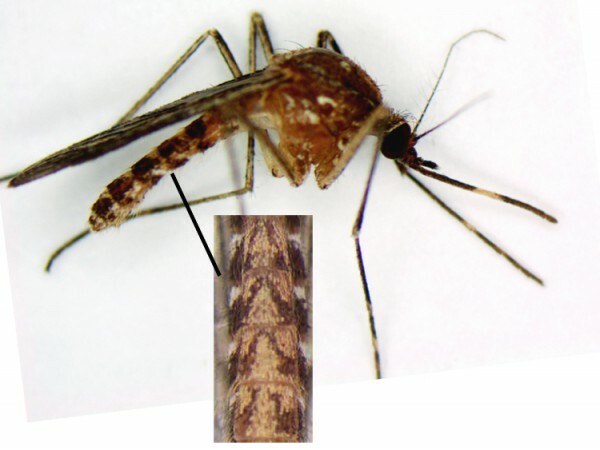 Culex quinquefasciatus is closely related to northern house-mosquito (Culex pipiens) in North America and is regarded as a subspecies of Culex pipiens in some classifications. Brown house-mosquito is a vector of human filariasis (Wucheria bancrofti), Ross River virus, encephalitis, dog heartworm and fowl pox. A1 Pest Control has been long established within the Hills District and operates well into the Sydney Region, we’re well versed in pest combat and can take your call today just ring us on 0417 251 911 or you can contact us online.